It’s sad news to hear that Cody’s, a longtime independent bookstore that had locations in Berkeley and San Francisco, has closed. 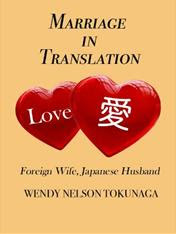 My tour for “Midori by Moonlight” (my first book tour!) had a nice mix of events at both independent and chain bookstores and the appearance at Cody’s on Fourth Street last October was one of the highlights. Many friends came as well as people I didn’t know! 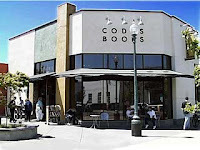 I’d always loved the large San Francisco branch of Cody’s as well and had been excited when Hiroshi Kagawa of IBC Publishing in Japan had stepped in to buy the store when it was in trouble of closing in 2006. Kagawa gave it a reprieve but found he couldn’t go on once the rent on the Fourth Street store tripled, the SF branch had to be closed, and the new, smaller branch on Shattuck couldn’t make it. I will remember Cody’s with great fondness and thank the staff for the wonderful welcome they gave me at my event.